The Belt and Road Initiative (BRI) is often regarded as a vehicle of China’s economic statecraft in that country’s endeavor to expand its geopolitical influence overseas through investments and trade. In today’s globalized world, however, the vast majority of international economic interactions are conducted by firms, not states. 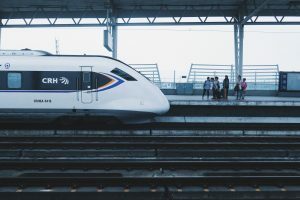 The success of the BRI therefore depends on whether and how China can compel its firms to behave in a way that serves the strategic interests of the state. Using a unique firm-level survey, we find that Chinese firms’ interests in the BRI do not necessarily align with the state’s. Despite the similar perceived risks and challenges to participation in the BRI among private and state-owned firms in China, state-owned enterprises are much more likely than private ones to express a willingness to participate in the BRI. These findings highlight the importance of state control in the exercise of economic statecraft. Complete the form below to submit a purchase request. After entering "Submit," you will be taken to UBC's ePayments system. A PDF copy will be sent in 2-3 business days. Outside Canada prices are in US dollars. Conversion to Canadian dollars will be applied automatically.